We are the perfect choice for partners who wish for quality solutions, by combining with great skill and ability software solutions and company consulting. Our client base covers all the major Romanian cities. The Greensoft team brings an extra added value through their specific knowledge gained in the development of challenging and limit-pushing projects in which we have participated. We have helped each client to improve their performance, cut costs and create a happier and more efficient workplace. 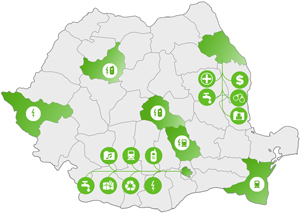 Greensoft has provided a worthy and creative solution for maintaining and extending the national invoicing of electrical energy consumption in the Albanian Republic a country of 1.3 mil consumers. 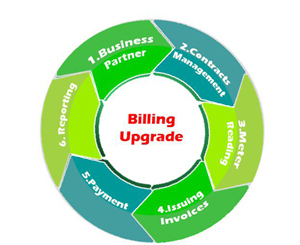 During the support phase, technical workflows were designed regarding client payment processing (through banks or systems, payment matching and reading electricity meters). Another major component dealt with analysing the accuracy of inputted data in the system, followed by taking the necessary corrective actions and ending with the invoicing process. Furthermore the invoice generation in printable format for the whole portfolio was paid special attention to, due to the major impact it had on the company.